We can’t wait to share this fabulous facial scrub recipe we’ve discovered. You’ll never believe just how wonderful it is for your skin, while at the same time void of the harsh chemicals found in store brought facial cleansers. This is a simple, yet excellent skin therapy for both men and women alike—one that leaves your skin feeling soft, supple and fresh. Directions: Mix the olive oil and salt together. Add 1 to 2 drops of an essential oil of your choice. Eucalyptus, lavender, almond oil, are some of our personal body scent favorites. However, if you have any allergies or an aversion to strong perfumes, we recommend that you do not add the essential oils at all. Once you’ve mixed the ingredients together you can place it in a container with a tight-fitting lid to use later, or you can simply use it all at once. To Use: Lightly wet your face and apply the scrub liberally. Use caution in avoiding areas around or near your eyes, nose, mouth, ears, and all other sensitive areas. 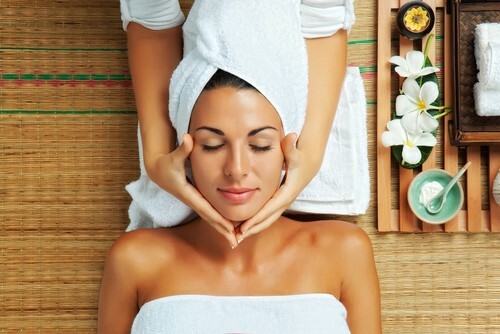 Gently scrub in a circular motion until the salt begins to dissolve and the oil begins to seep into the pores of your skin. 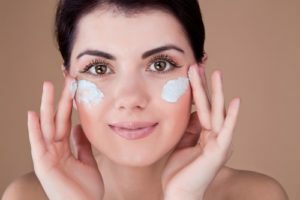 Next, make sure to rinse-off all remaining oil and salt from your skin, as leaving too much residue can end up clogging the pores. For best use, we recommend this as an evening ritual—one where you don’t need to put on make-up or shaving lotion afterwards. 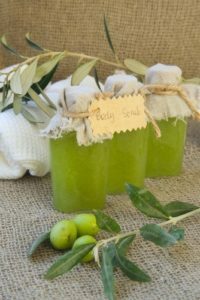 The best thing about this scrub is not only just how versatile it is, but also how easy it is to make. If you’re looking for an excellent handmade gift idea… this is it! Depending on how many gifts you’d like to give, you will need to double, triple or even quadruple the recipe above. Or maybe simply make smaller batches, so that you can have a variety of scents on hand to give away. Once you’ve made up a batch, and chosen that special someone to deliver it to, you’ll need to find a fun container with a lid that fits the character of the gift. One cute packaging idea is to purchase a tiny wooden scoop or spoon to attach to the container of your choice. It adds a great “spa element” to the final product! Finally, finish off your gift off with a nicely printed label. There are plenty of store-bought kits available to help you with that process. We hope you’ve enjoyed this fun gift idea, and most of all, we hope that you’ll take some time out of your busy day to pamper yourself with this incredibly refreshing and easy homemade scrub. Of course, we’d love to recommend My Olive Tree’s Extra Virgin Olive Oil as the main ingredient. Not only is it an amazing product that will bless you, but you will also be a blessing to the lives of others, as a percentage of the proceeds from our olive products are donated to various humanitarian outreach programs throughout the nation of Israel… and beyond! 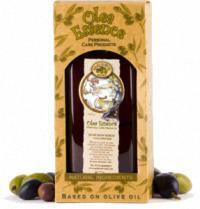 To order YOUR bottle of My Olive Tree—Northern Israel Extra Virgin Olive Oil [CLICK HERE]! Wait …. Have you tried our Olive Soap Scrub?